"I love Christmas," says Ian Griffiths. "Everything  the story of Christmas, the music, and then the people that you meet, and in my case, the people I work alongside." Hearing Griffiths say those words makes it clear he is in the perfect job. Griffiths is Dean's Verger at King's College Chapel in Cambridge, England, where he and his colleagues concentrate on three key areas in their work: preparing the chapel for all its worship offered during term time; readying the chapel for the many concerts that take place there; and serving the needs of the many visitors who come each day to see King's College Chapel. On Thursday, Dec. 24, King's College Chapel will play host to its biggest event of the year, A Festival of Nine Lessons and Carols, the Christmas Eve celebration begun in 1918, and first broadcast in 1928. Nowadays, it is broadcast to listeners around the world. "It's a lot of preparation just for this particular week," Griffiths says, "but there is still a great sense of excitement. I think that's quite something to be celebrated, that we can still be excited, not only each day, but certainly on an annual service such as this." 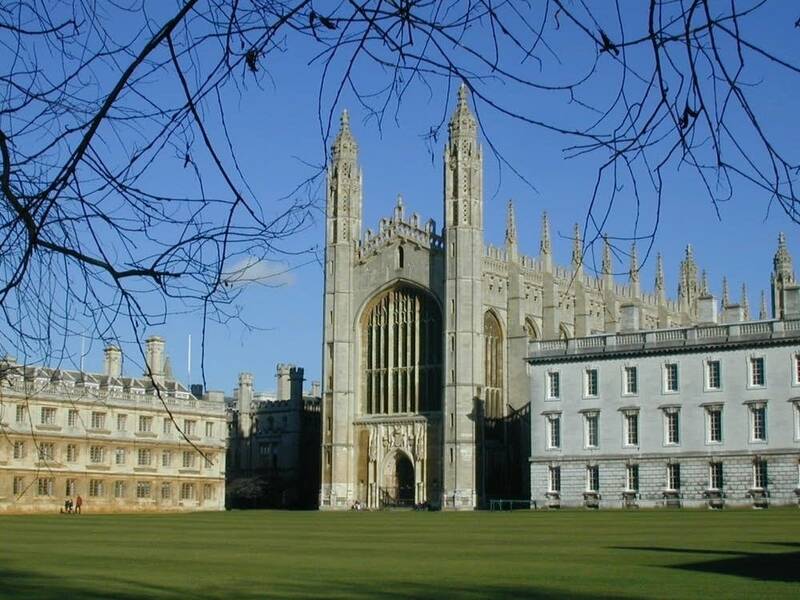 The 2015 broadcast of A Festival of Nine Lessons and Carols is a particularly significant one, given that this year marks the 500th anniversary of the completion of King's College Chapel. Griffiths says he feels privileged to work in such an iconic building. "One of the great glories for me has to be, without a doubt, the fan-vaulted ceiling," he says, noting it's the largest of its kind in all of Europe. "It's just so tremendous to see that vast expanse … When you imagine the whole of the ceiling of King's College Chapel is this continuous stretch of Gothic fan-vaulting that was put up during the reign of Henry VIII, it's quite impressive as a piece of stonework." Another building feature that's a favorite of Griffiths are its tall, stained-glass windows. "The glass comes down from the ceiling, or if you like, from the ground shoots up heavenwards," he says. "Most of it is medieval glass, and obviously they each tell their own stories." Visitors to the chapel are numerous year-round, with the busiest times happening in the spring and summer. 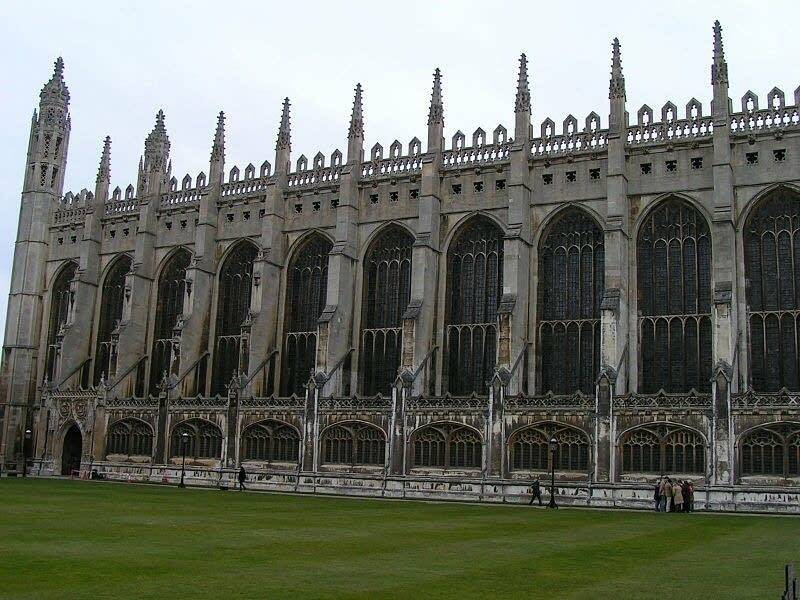 Griffiths says one of the great pleasures of his job is meeting the many people who visit King's College Chapel; for some, it is a once-in-a-lifetime visit. "People come here because it's part of a pilgrimage, it's a special journey for them," Griffiths says. "Some people have tears of literally joy, having made the journey thus far from the other side of the world, and when they actually see the glory of this place, just as a building before they perhaps attend a service, they are moved to tears. For me, I think theirs are some of the greatest stories that I've heard." One may think it's a challenge to be responsible for the ongoing activities in a 500-year-old building, but Griffiths sees it all as a tremendous privilege. "In life, we can all have a bad day at work  whatever that may be  but for me, to end my day in this superb space listening to this renowned choir, it really is heaven on earth, and it's bliss." 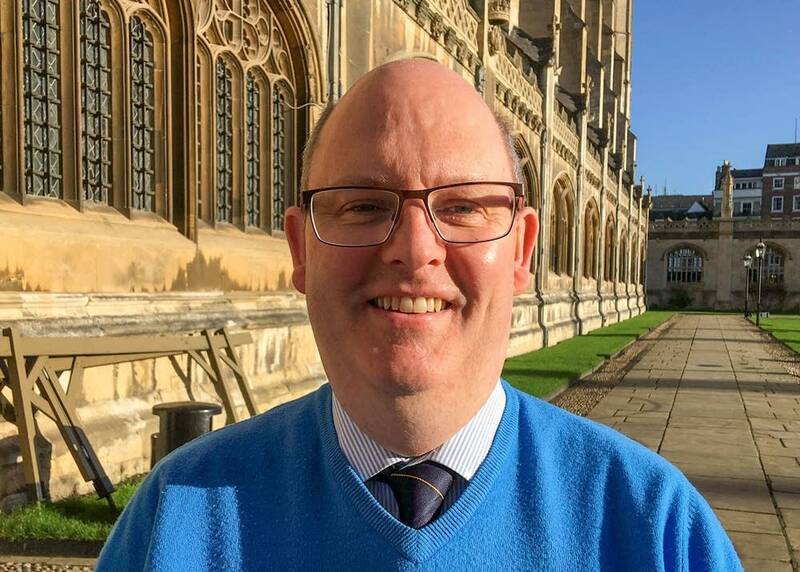 This week, Griffiths says the excitement is really becoming palpable as people are camping just outside King's College, hoping to secure a seat inside the chapel for A Festival of Nine Lessons and Carols. Each year, Griffiths and his team look forward to sharing the festival with the in-person congregants as well as with audiences around the world. "We truly mean it when we say this is our gift, not only to the city of Cambridge, the people that tune in via the BBC, but literally across the world, and we take that responsibility quite seriously," he says. "It's wonderful to be able to be a key player, if you like, in trying to make sure that everything is ready for the big moment when the light flashes and we go on air and then all those people  millions of people  tune in and their Christmas begins, and it begins with what we're doing here in Cambridge." The 30-voice King's College Choir performs the legendary Festival of Nine Lessons and Carols service of Biblical readings and music at 9 a.m. Central / 10 a.m. Eastern Standard Time on Dec. 24, 2015.